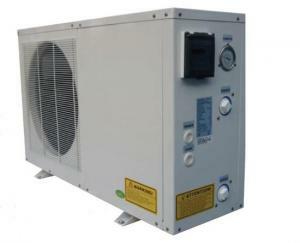 The Duratech Dura-10 Swimming Pool Heater, Pool heat pump are manufactured by Duratech based in Belgium, and renowned for their quality. These pool heat pumps are built to last and include features such as titanium heat exchangers to ensure long life of the systems. This model will operate down to an outside air temperature of -5 degrees centigrade.